Seeing truly is believing when it comes to getting a feel for UVic and our community. Whether you're an island local or visiting from overseas, we encourage you to check out what's going on at UVic. If you have questions or would like more information, please contact the UVic Welcome Centre. Book your spot on one of our daily campus tours, offered from Monday to Saturday at 1:00 p.m.
Organize a group of high school students to see our campus and speak with current UVic students. 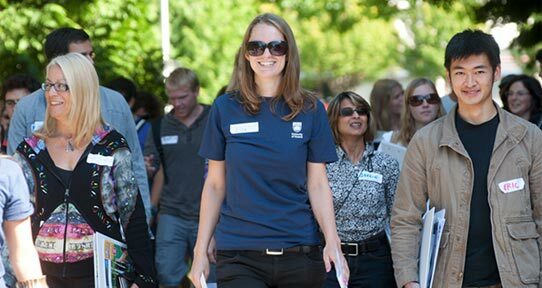 In addition to campus tours, UVic holds recruitment events for prospective undergraduate students throughout the school year.